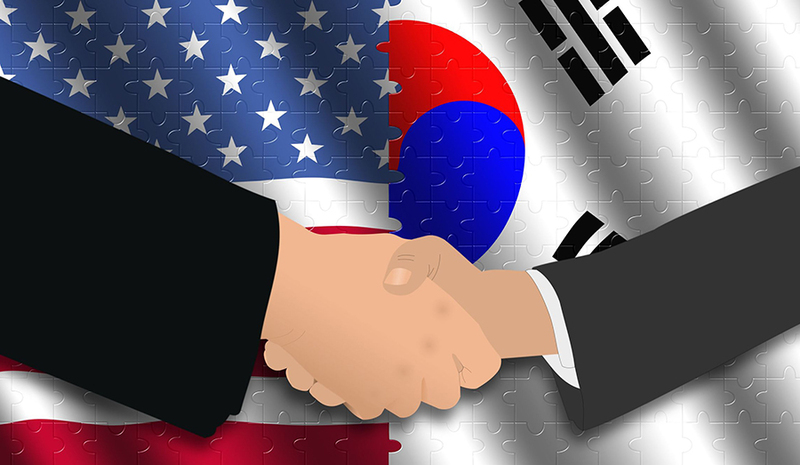 President Trump has recently suggested pulling out of the US-Korea (KORUS) free trade agreement, claiming that KORUS gives US companies a raw deal. In particular, the Trump Administration points to the increased trade deficit with South Korea as problematic, as it more than doubled from $13.2 billion in 2011 to $27.6 billion in 2016. As many analysts have pointed out, however, the trade deficit only pertains to goods. When it comes to trade in services, the United States is running a large surplus with South Korea. Furthermore, the largest areas of import growth with South Korea after the passage of KORUS occurred in electronics and automobiles. Electronics were already duty-free before KORUS, while tariffs on South Korean automobiles were only eliminated in 2016, after which imports of cars from South Korea actually fell. It’s important to remember, too, that many “Korean” cars are actually produced in the United States – more than half of Hyundais in the US are produced in Alabama, while 40% of Kias in the US are produced in Georgia. The ubiquity of South Korean electronics in the United States is also underappreciated by many people. Aside from the obvious finished products like cell phones, computer monitors, and home appliances from firms such as Samsung and LG, South Korea is a major producer and exporter of LCD screens and memory chips that go into many American-made products. While withdrawing from KORUS shouldn’t have any effect on the electronics market, given the Administration’s tough talk on trade it wouldn’t be surprising to see some sort of tariff introduced that would make it more expensive for American companies to import the electronics components they need to build their finished products and for American consumers wanting to purchase South Korean electronic finished products. The timing of this proposal is curious too, as the United States needs South Korea more than ever as it attempts to take on the North Korean regime. Potentially alienating an important ally at such a vital time is a strange thing to do. Criticizing South Korea for “appeasing” North Korea while simultaneously seeking to scuttle KORUS at a time when North Korea is rattling its sabers more aggressively than ever has many people wondering what exactly President Trump is thinking.